WATCH TRAILER | 2018 | The Storyteller is a very special family/drama/fantasy feature film filled with music. The film has received distribution, a limited theatrical release and is now available on Amazon Prime Video and Hallmark Movies Now. The screenplay was written by Joe Crump and Rachel Noll, executive produced by Gina G. Goff, produced by Rachel Noll, Nancy Crump and Joe Crump, and directed by Joe Crump. Starring: Constance Towers, Brooklyn Rae Silzer, Kristina Wagner, Eden Espinosa, James Snyder, Cassidy Mack and Samantha Colburn. We are fortunate to have original and traditional songs sung by the cast and an amazing score by multiple Emmy Award winning composer, Michael Reola. The love of an enchanted young girl brings wonder and healing to a broken family. On the run from her mysterious past and guided by a fairy that no one else can see, Abby sparks a daisy chain of compassion. Closed hearts open as she brings joy and music back into the family. The Storyteller is a fascinating exploration of belief and the true definition of family. It is lyrical, gorgeous to look at and has a powerful emotional impact. For more information, go to www.storytellermovie.com. WATCH TRAILER | 2005 | Producer --This controversial feature length documentary film has ROCKED the music industry as it reveals the under belly few are brave enough to discuss. 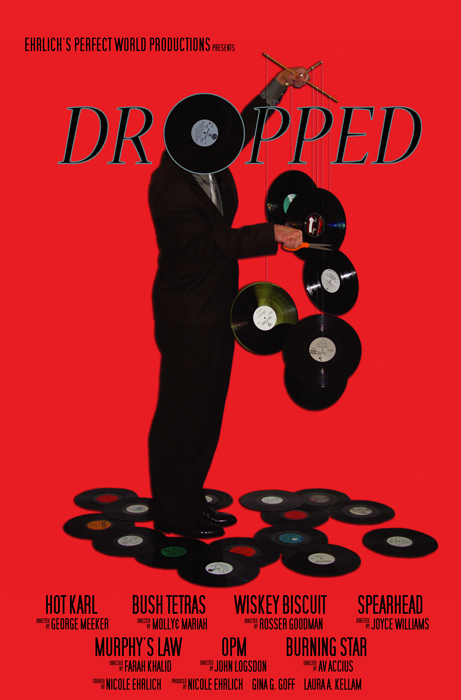 Created by filmmaker and music executive Nicole Ehrlich, Dropped is based on the lives of seven musicians and their true stories of being picked up by major music labels and ultimately "dropped" during what seemed to be the peak of their careers. Although this film was originally slated to be sold to VH1/MTV, they ultimately passed on the film because "they didn't want to alienate the record labels!" Dropped was acquired by Sundance Channel, Starz and Netflix and continues to air on Starz. The film features Hot Karl, Bush Tetras, Wiskey Biscuit, Spearhead, Murphy's Law, OPM and Burning Star. 1999 | Unit Production Manager -- As unit production manager, Gina enjoyed working on this teenage coming out story. He Bop! !, a light-hearted drama earned many awards during it's festival run. He Bop!, was both written and directed by AFI's 1999 newcomer, Brian Dannelly. This remarkable drama set in the fun days of the 1980's "disco era"! Brian has since written and directed his hit feature film entitled Saved! 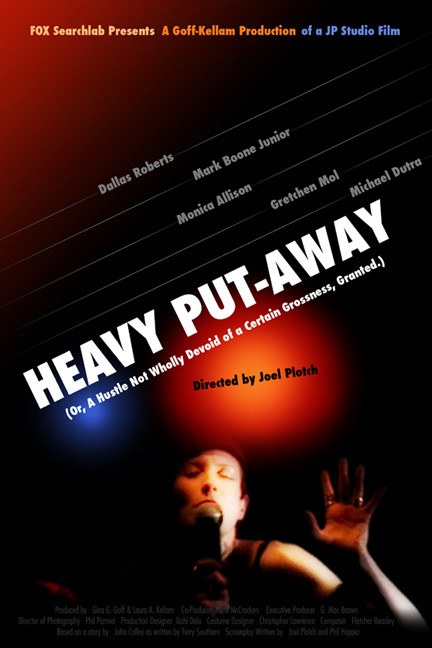 Principal cast includes: Steve Herd, Lenore Thomas, Ben Alexander and Mink Stole.